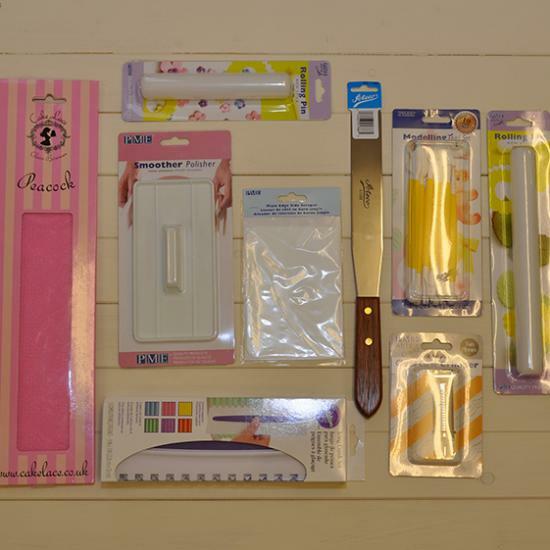 As Leicestershire's largest cake decorating specialist, we pride ourselves on stocking a full range of equipment from a variety of quality suppliers. We stay up to date with the latest trends and new releases, so if you've seen a new tool or tin which you would like to purchase but can't see it in one of our stores, please ask our team as will be more than happy to order anything for you. As we share the stock between both of our stores, we're also happy to transfer items for you if we are running low of your favourite branded equipment! 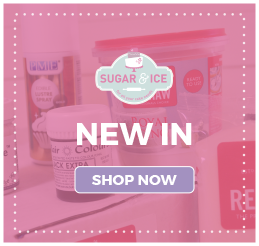 Sugar & Ice believes in providing our customers with high quality cake decorating equipment, this includes stocking a range of brands and varieties for you to choose from. 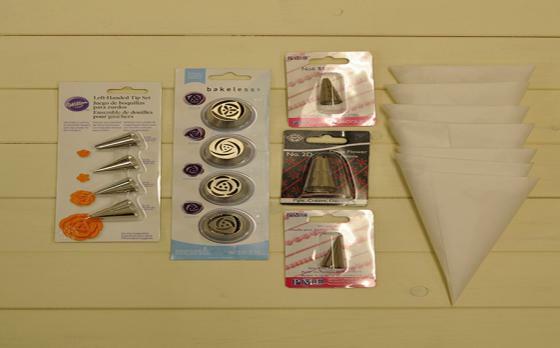 When you visit either of our stores you will find everything you need to fill and cover your cakes, alongside a full range of modelling and finishing tools. 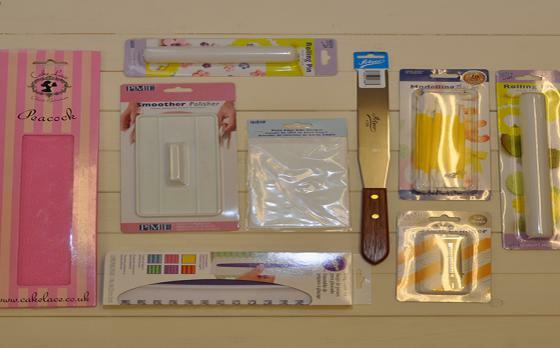 This includes pallet knives, cake smoothers, modelling tool sets, cake slicers, stencils (see our tip on stencils here, cake lifters and turntables. And for those wanting to invest in their hobby (or business) Sugar & Ice also sell airbrush compressor sets, if you would like to learn more about airbrushing you can attend our airbrush demonstrations. 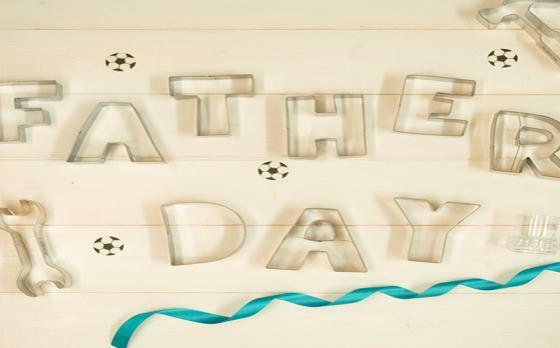 Our team will be more than happy to provide you with advice on the best tools for your requirements or you can attend our cake decorating courses where you can learn more about basic cake decorating, sugar flowers, modelling and more. It's important to protect your wonderful cake creations once you have made them, which is why Sugar & Ice stock cake boxes ranging from 6" through to 18", including box extenders for those stacked cakes. In addition to standard cake boxes, we also stock cupcake boxes for individual cupcakes through to 24 cupcakes, petit four boxes and cake slice boxes. 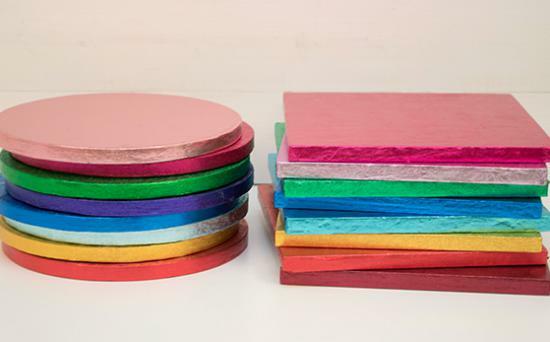 Whether you're creating a single cake, model or stacked cake you'll need a cake board to pop your creation on to, Sugar & Ice have thin boards (cards) and thicker (drum) boards in sizes ranging from 3" to 20" square and round. 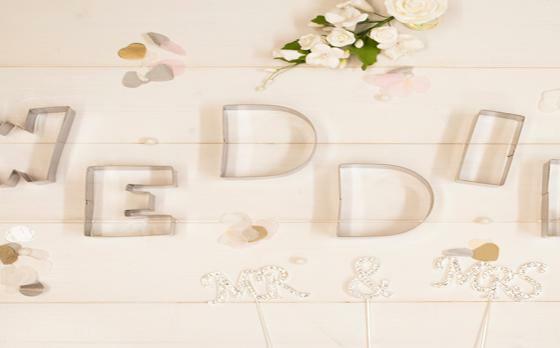 We also hold a variety of shaped boards including hexagonal, hearts, diamond, oval and more! Our team will happily provide you with advice on the amount of ribbon or icing to cover these boards too, check out our tips page for more icing and ribbon quantities guides. 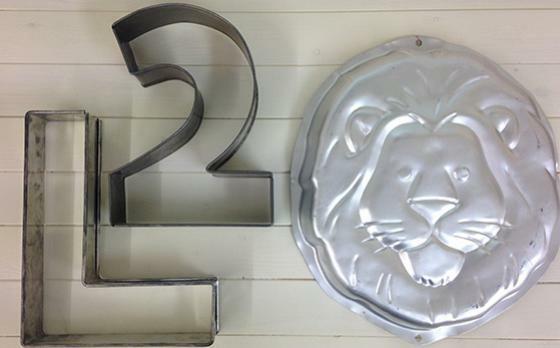 We stock a full range of high quality cake tins in a number of shapes and sizes, including giant cupcake tins and adjustable cake tins (perfect for creating various square and rectangle cakes). 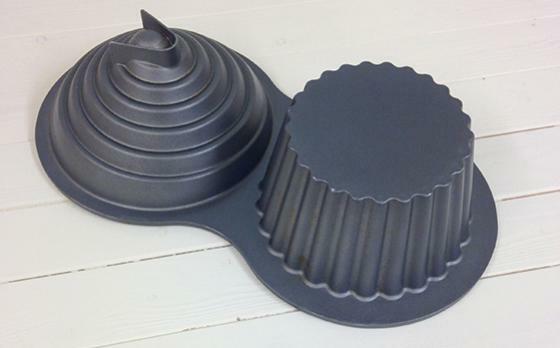 If your bake is a one-off, you can also hire out our full range of cake decorating tins (View Equipment Hire). 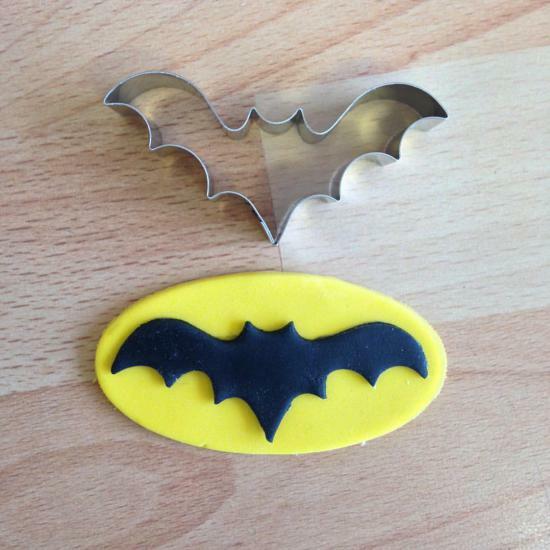 For smaller bakes such a cookies we also sell a variety of different sized cutters including novelty shapes and geometric sets. Our cutters don't stop at cookies, we offer our customers a full range of flower cutters and veining tools, including easy to use plunger cutters through to individual petal and leaf cutters. 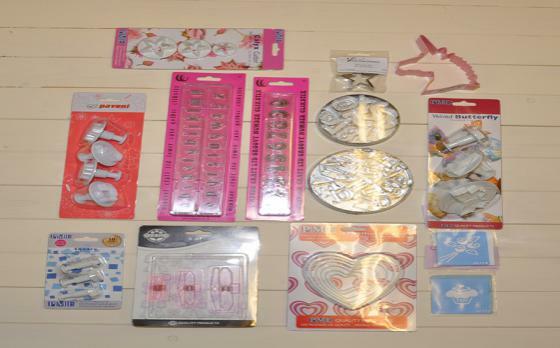 Our cutters for sugar paste also include a variety of novelty shapes, ranging from animals to vehicles and brickwork. Cake lace took the cake decorating world by storm with a super fine finish perfect for delicate detailing on cakes, our stores sell a range of cake lace moulds. Other moulds available include lollypop moulds, chocolate moulds and sugar paste moulds, including face and head moulds for those not too confident with sugar modelling we can always teach you, check out our sugar modelling courses. Tell us how we can help to make your event extra special… and tasty!